Home » Forums » Public Access » Chit Chat » New map anyone? If you guys have ever played Counter-Strike, you may remember a map with a really inaccurate 747. It was my favorite CS map. Sadly it was never officially remade for Counter-Strike Source. Someone managed to port it, but it was basically a copy of the CS version, low-poly and inaccurate, hence a port. I've decided that it's time for someone to remake it for CSS. Namely me. 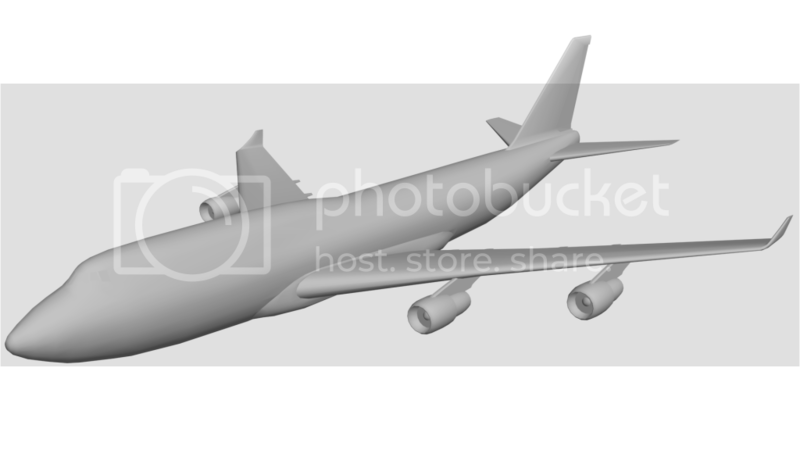 I've almost finished modelling the exterior of the 747-400. I expect it'll take me the rest of the summer to finish the entire map. I'm guessing that I don't need to ask if you guys would like a version for RVS. Depending on how the CSS version comes along, we'll see about an RVS version. Now how about some pics? There have been a couple of 747 maps for Rvs, never played CS so i dont know if its the same. Feel free to make one for RVS, we would put it to good use. I too recall a map where we did board a big jet, It was a nice hard map also. The only RVS map I've been able to find with a 747 was a modification to the Grand Cayman Airport map that tacked it off to the side. I played it and wasn't all that impressed. The layout of the interior was there, but it sort of was just hallways to shoot down. The map I'm making includes an airport terminal and servicing areas in addition to the 747. The 747 itself will have multiple entry points - an open cargo door, a ladder into a gear well, a terminal gate connected to a door, and possibly shootable cockpit glass (I say possibly because the original map had this, but in reality it would be cramped in the cockpit, likely too cramped for entry.) Also, the crawlspace above the lower cabin will be traversable. The tactical possibilities will be endless. Needless to say there will be a good number of hostages scattered throughout the 747 as well. On a side note, I'm working on the interior at the moment. The map calls MGC Airport! But this isnt the only one with a Boeing. What for a 3d Program u are using? 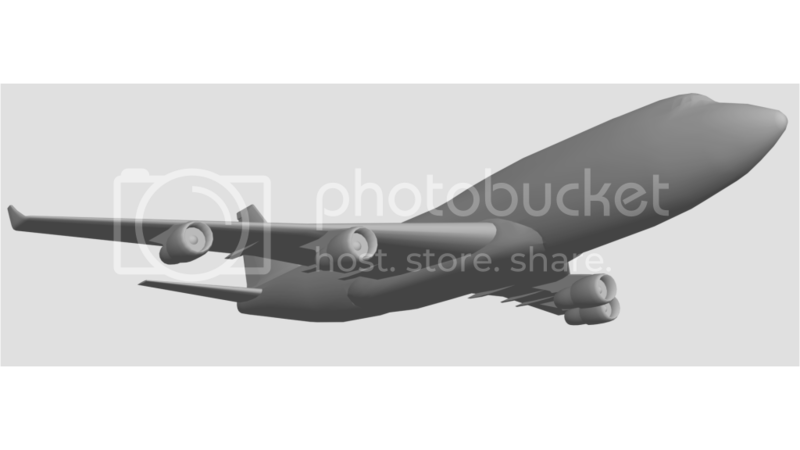 I'm modelling the exterior of the 747 in 3ds Max. 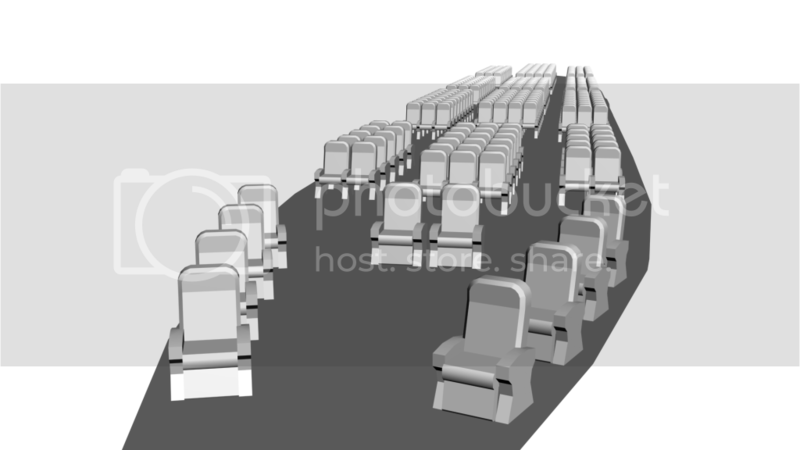 Complex interior objects such as chairs and cockpit panels are going to be done in 3ds Max as well. I will use the world editor, called Hammer, to make the floors and less complex geometry such as lavatory and galley walls. I'm not sure how RVS's world editor works yet, but I'd imagine simple geometry will work, so I'll probably be doing a similar thing. As far as a SWAT version goes, I don't have the game, so someone else would have to do the porting. I'm all for it though. EDIT: Interior progress. Sardines in a can.